A statewide travel ban ended at 5 p.m.
Statewide travel ban takes effect at 5 a.m. Only essential travel allowed - if you can stay put, do so. 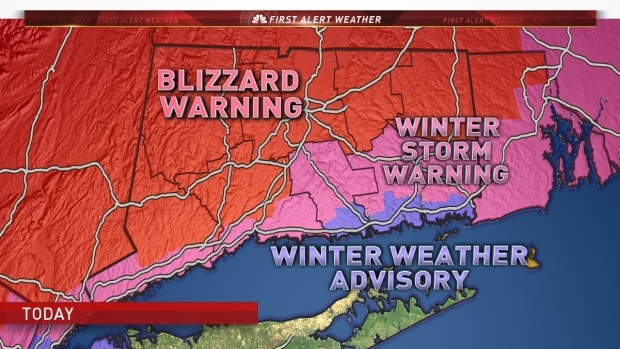 A blizzard warning is in effect for most of Connecticut, excluding the shoreline, as a nor'easter dumps snow across the state and officials continue to warn motorists to stay off the roads. 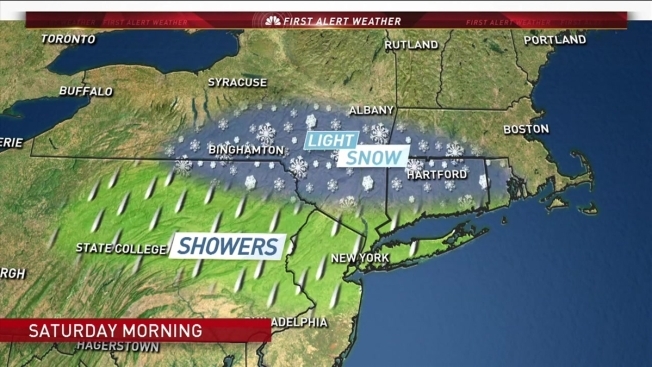 NBC Connecticut meteorologists are predicting anywhere from 18 inches to two feet of snow in the northwestern hills, a foot to 18 inches in central and southwestern Connecticut and 8 to 12 inches in southeastern Connecticut. The southeastern shoreline could see less, around 4 to 8 inches. All schools are closed and businesses across the state ceased operations because of the storm. Gov. Daniel Malloy declared a civil preparedness state of emergency, announced a statewide travel ban from 5 a.m. to 5 p.m. and asked all non-essential state employees to stay home. On Monday, he made the announcement that fire- and second-shift non-essential employees should stay home. On Tuesday afternoon, he added that third-shift non-essential employees should also stay home. "It is my expectation that we can be back to normal tomorrow, but we will keep you posted," Malloy said Tuesday afternoon. Eversource has announced thousands of power outages. During a news conference Tuesday morning, Malloy said residents have been complying with the ban, which will allow state crews to get ahead of the snow and prevent cars from getting trapped on the highway. "It's important that only essential travel be engaged in, so please continue to stay off the roads," Malloy urged. "We understand that there are some essential staff that must travel, like doctors, nurses and public safety personnel. But we remind everyone to take your time and be very careful. Let's make sure that if you are on the roads because your job requires it that you arrive safely." 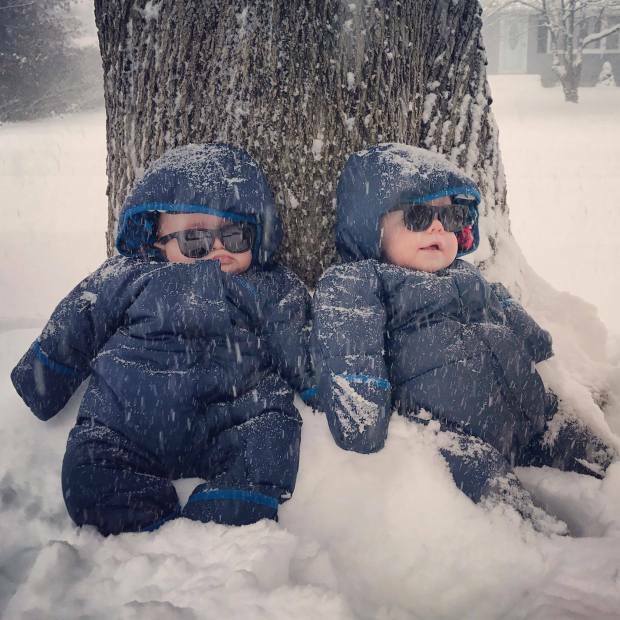 A blizzard warning for the shoreline was downgraded Tuesday morning as a wintry mix moved in to the area. To help doctors, nurses, emergency personnel and other essential employees who have to get to work, Putnam police are offering Humvee transportation. From 5 a.m. to 10 a.m., state police have responded to 14 no-injury crashes, 34 motorist assists and 342 calls for service. From 5 a.m. to 1 p.m., state police have responded to 28 minor crashes, 86 motorist assists and hundreds of calls for service. "I think that's a demonstration of what happens when people stay off the roads and we're very thankful for that," Malloy said. 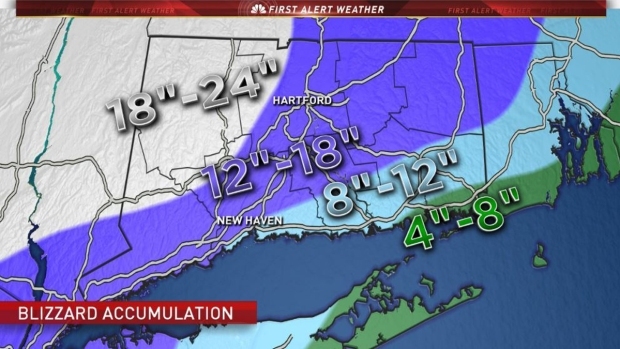 The heaviest of the snow will fall between 8 a.m. and 3 p.m., according to NBC Connecticut meteorologist Ryan Hanrahan. The Department of Transportation will have 634 plow trucks on the roads and another 250 private contract plow operators on standby through the storm, according to Malloy. The governor warned that with heavy snow falling throughout the day, the plows might have trouble keeping up with the amounts until the snow begins to taper off later in the evening. In the event of a power outage, Malloy urged residents to ensure that vents in the home are clear and warned against using grills indoors. University of Hartford has canceled all day and evening classes for Tuesday, but said some professors might conduct classes online. The University of Connecticut announced all campuses would be closed and only essential employees were required to report to work. Many students already left campus for spring break. The state Department of Motor Vehicles has canceled all road skills tests through noon Wednesday. Written tests are also canceled on Tuesday. Anyone with a license, registration or other document expiring on Tuesday will have through Wednesday to renew without incurring a late fee. In addition to heavy snow, strong winds will develop across the state as the storm passes south of Connecticut. Gusts could reach up to 40 to 50 miles per hour. Conditions will almost certainly make travel difficult at times Tuesday. The storm will wind down Tuesday night across the state. Malloy also enacted the state severe cold weather protocol for frigid temperatures at the end of last week. On Monday, he announced the protocol is being extended through Thursday at 8 a.m.
Shelters and warming centers will be available across the state. For detailed information residents can call 211 or visit the website here.